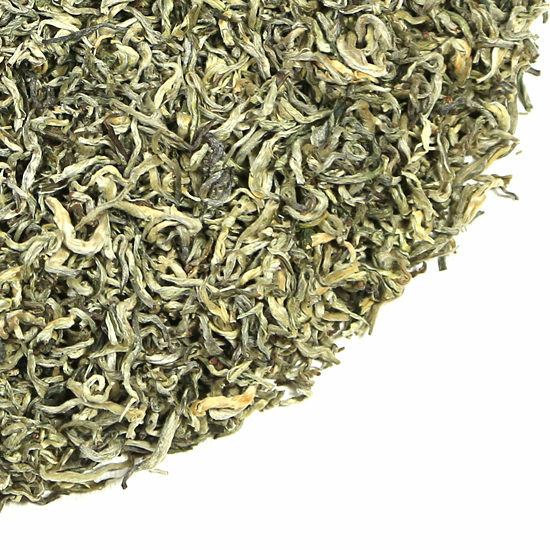 Sprouting Leaf Dusted with Snow is a green tea that is produced considerably earlier in the season than are most mountain-grown green teas. This harvest time is due to the microclimate in which these gardens are located. Despite this early harvest, the varietal used for this tea encourages its buds to mature to a long length, develop a deep flavor, and show subtle nuance and complexity very quickly. We taste this tea every year and don’t always offer it, as some years the weather does not cooperate with this harvesting and sylistic ideal. Just as with Vidalia onions and South Carolina peaches, some years the weather simply precludes deliciousness. However, when the season and the plant come together to yield what the classic manufacture has been determined to be for this tea, the result is delicious, quite unique, and shows why this tea is highly-regarded in China. The 2018 manufacture of Sprouting Leaf Dusted with Snow is one of the best we have tasted in decades. It has a range of delightful, almost playful tastes that release in the steeped liquid and the aroma is just plain delightful! There is a slight woodsy-ness and earthiness in the core flavor but there is also a freshness and bright flavor (almost that of a very subtle lemongrass or kaffir lime) that balances perfectly with its full body. 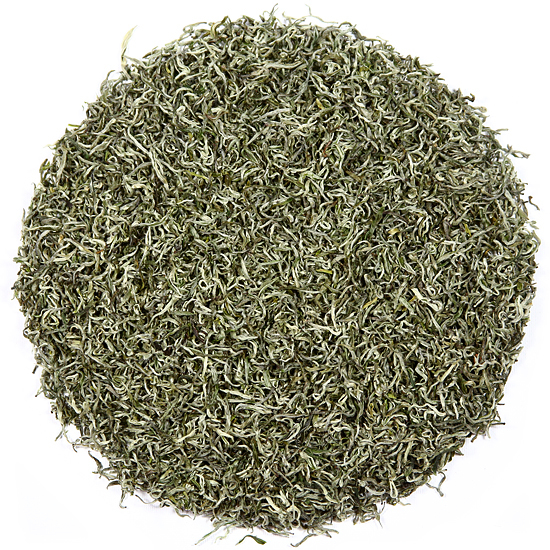 We think that it is the incredible full-body that sets this tea apart from most other green teas in a normal year. This year the weather warmed early and there was plentiful rainfall, but not an excessive amount either. 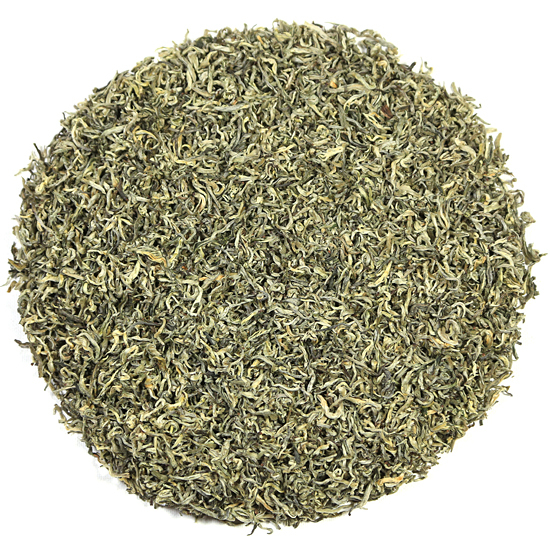 This has contributed to a lushness and big, full, rich taste that is unusual in a green tea. It is almost as though there is 25% early spring oolong mixed in, which of course there is not!! And so, what a delightful tea this year’s has turned out to be. Traditionally grown in the bordering, tea-growing areas at which the Provinces of Guangxi, Guizhou, and Yunnan meet in southwestern China, our Sprouting Leaf Dusted with Snow green tea this year is from Guizhou Province. The location of the gardens is a major influence on the developed flavor of the tea, as the weather is particularly pleasant throughout this region. Be mindful of the water temperature with these buds. Being bud-only, they can be sensitive to hot water, and the buds do yield their best flavor when steeped with fairly cool water. So we recommend that the steeping water should be hot, but not enough to scald the buds – that will be perfect.